St Paul's Church (Pauluse kirik in Estonian) is at Riia 27, on the northern side of this main road, midway between Kastani and Filosoofi streets. The cornerstone of the church was laid on 31 May 1915. Over half the cost for the construction of the building had to be borrowed, so an organ was also purchased. 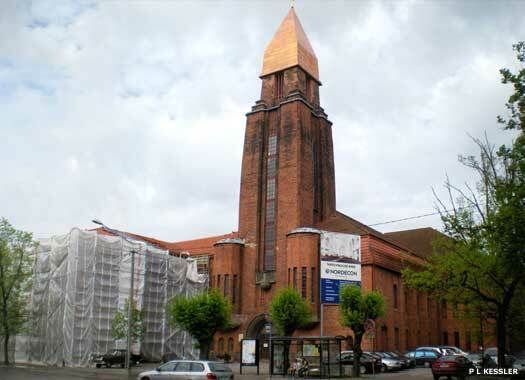 The interior work was completed in two years and on 9 November 1919, Bishop Jakob Kukk consecrated the church for a growing parish which had been formed in 1911. The church had 3,000 seats and room for up to 7,000 people. In 1932 a three-storey wing was added onto the main building, but on 25 March 1944, the church burned down. By the autumn of 1946 the tower had been restored, so that on 1 December 1946 the bells were able to start ringing again. 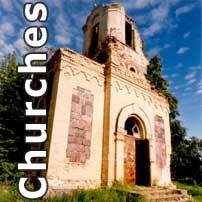 The rest of the church remained a ruin and was almost cleared away between 1950-1957, until the decision was taken to restore it. That work only apparently began in 1998. Tartu Seventh-Day Adventist Church (Seitsemenda Päeva Adventistide Tartu Kogudus) sits at Lille 18, on the southern side of this quiet street, close to the junction with Riia street. 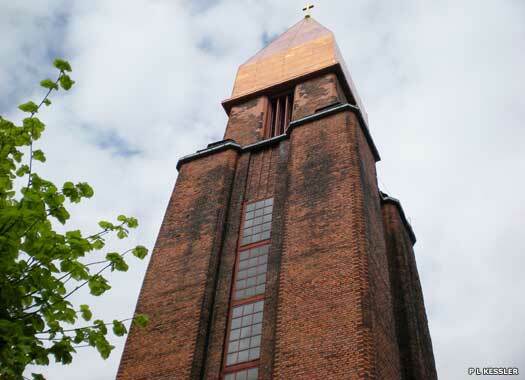 The church is housed inside a two-storey functionalist building which was designed by the architect Arnold Matteus. A church hall and living quarters are included. The Adventists were allowed to start using their building again on 31 January 1993, for the first time since 1963 (see below). St Alexander's Orthodox Church (Püha Aleksandri kirik) is at Sõbra 19a, on the southern side of the street. The two-storey church was designed by the architect V Lunski, who was active in the 1920s. 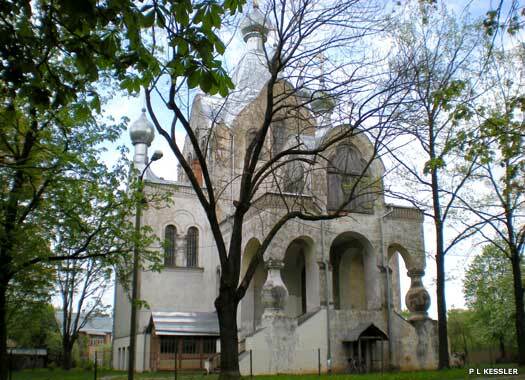 The cupolas were inspired by the Old Russian church architecture. In February 1963, the Soviet authorities drove out the Orthodox congregation and stuffed the Methodists and Adventists into the basement, where they met until 1997. The church was reconsecrated in mid-2003. 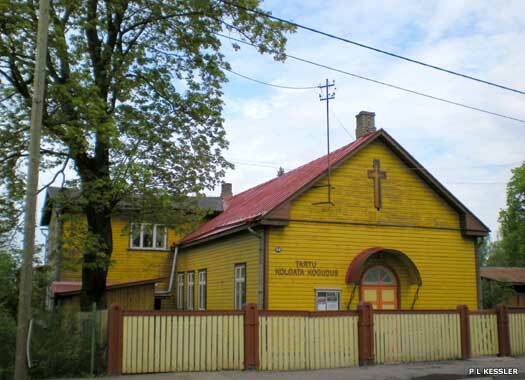 Calvary Baptist Church (Kolgata baptistikoguduse palvemaja) is at Tähe 66, on the eastern side, midway between Vaba and Sõbra streets. The spacious wooden chapel was designed and built by the architect Arnold Matteus in 1931 and is one of the buildings now under protection in the Karlova protection zone in Tartu. A cross-shaped window decorates the fore gable. 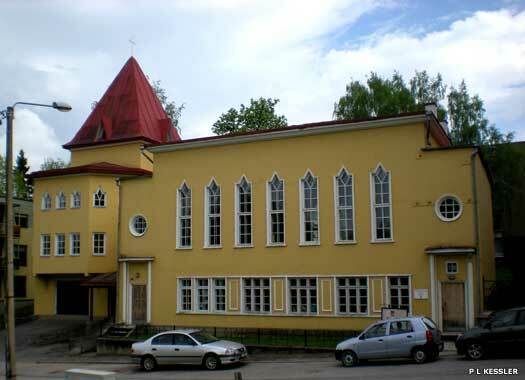 Tartu's Baptist churches were the immediate descendants of the Tartu Free Church, founded in 1896. 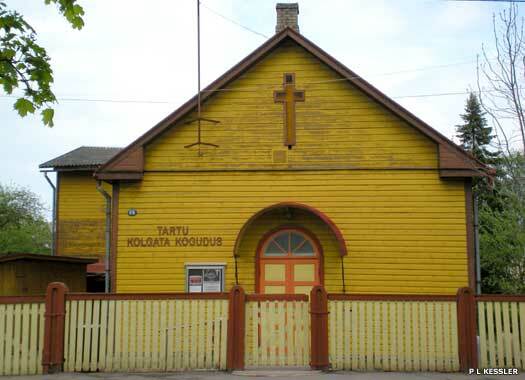 Baptists in Tartu founded three meetings before the First World War. One started in 1901, another in 1906, and the third in 1911. Emmanuel Baptist Church (Immaanueli kirik) was burned down during the war. The Bethel Baptist Church building was taken away from its members by the Soviet authorities who would no longer allow them to lease their building. Only the Calvary Church survived and all Baptists in Tartu met here until Salem Baptist Church opened.